What is a weeping tile or French drain? Have you noticed standing water in your yard? Do you have water appearing on your concrete basement floor? Saturation of water around your property’s perimeter and water coming up from the ground can quickly result in flooding but can also cause damage to your foundation. 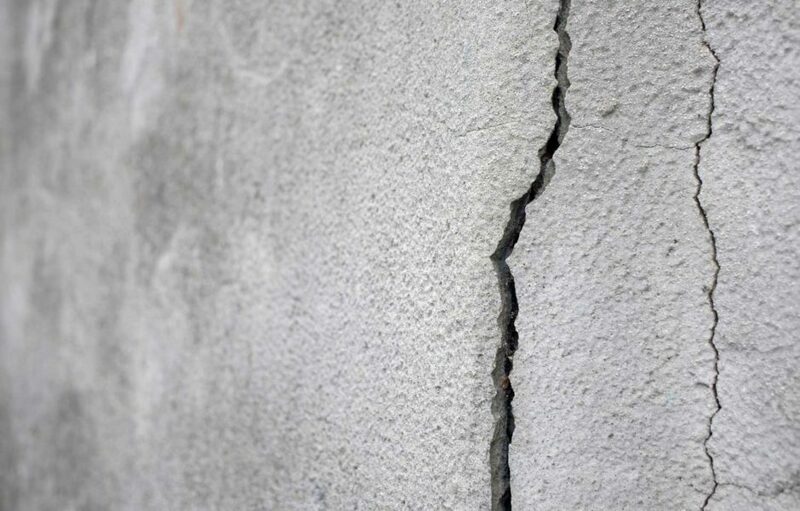 The pressure of the water and the porous property of concrete can cause cracks on your foundation walls and floor. 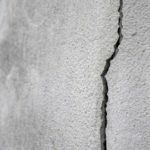 What you need to understand is that cracks will allow water to flood your basement in a case of a heavy rainfall for example, but more concerning, if cracks are left unrepaired then the cracks will at some point compromise your home’s structural integrity. When water is not properly drained from the soil around your property then your solution can be a weeping tile system. 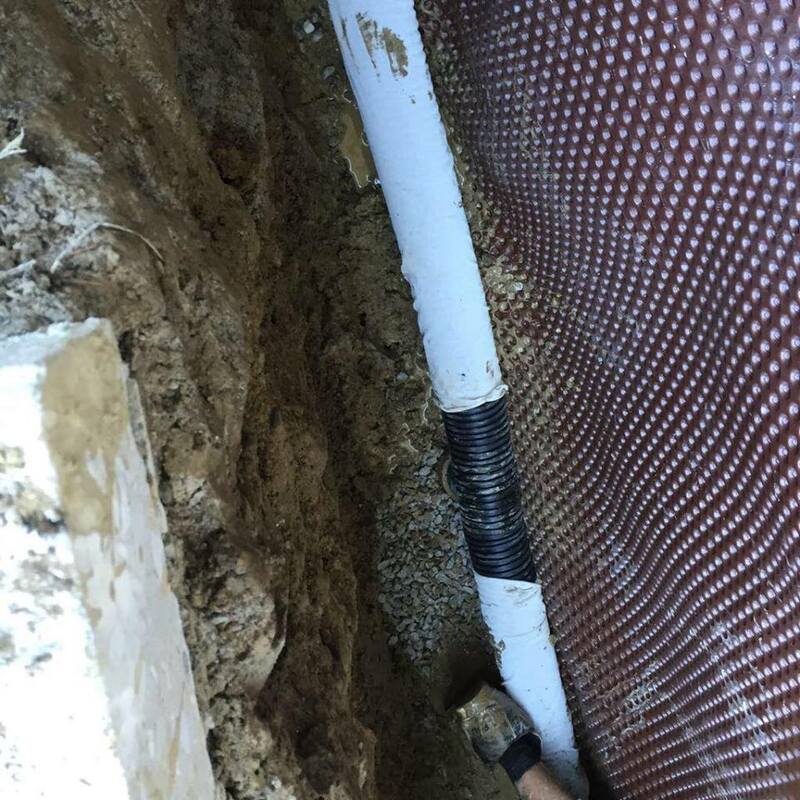 An external weeping tile system, or French drain as it is also called, is a drainage system that collects water pooling at the bottom of your foundation footings and drains it away from your property. A weeping tile is comprised by a perforated pipe that is placed at the bottom of your foundation footings. The work starts by excavating a ditch around the property walls deep enough to expose the foundation footings. The tiny holes in the plastic pipe are there to allow water to drip into the weeping tile and be discarded. The perforated pipe is then covered by a long open “sock”, made from rot-proof material, which prevents soil plugging up the hopes of the pipe. Gravel is placed on top of the pile to accommodate drainage of the pooling water down to the weeping tile. Finally the removed soil is placed back on the ditch and packed tightly. There are times that an exterior cannot be installed because of the lack of space available at the perimeter of your property. An alternative would be an interior weeping tile installed at the bottom of your foundation footings inside your basement. 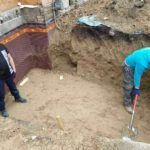 The process is similar, a small ditch is excavated around your basement’s walls, a perforated pipe, “sock” covering and gravel are placed in place and the ditch is filled in again. The interior weeping tile guides water to a sump pump which pump the water away from the property. The condition of your property’s foundation is the most important thing when it comes to structural integrity. With time, cracks, fissures and even block separation can appear, sometimes visible on your interior basement foundation walls, sometimes the only thing that points to a cracked foundation is a wet basement. 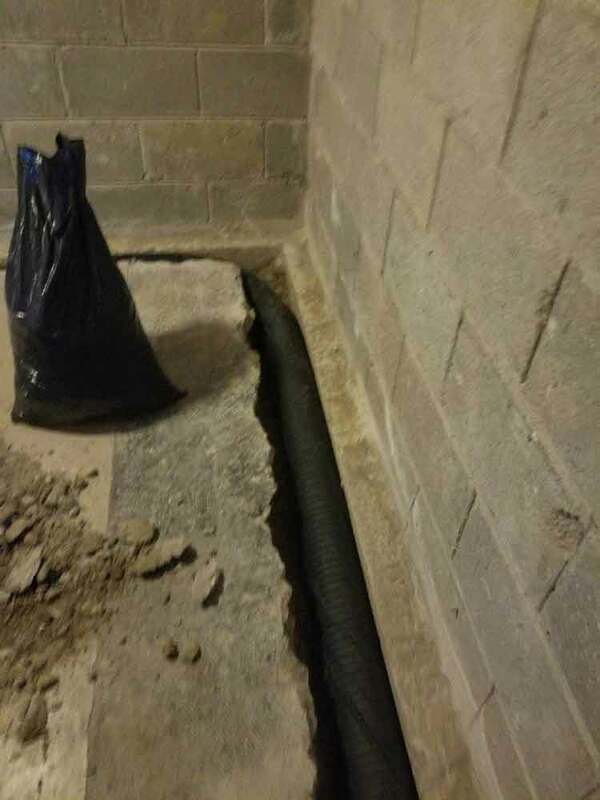 If you don’t have a waterproofed basement then chances are that water from the outside of your property is finding its way into your basement through the cracks. 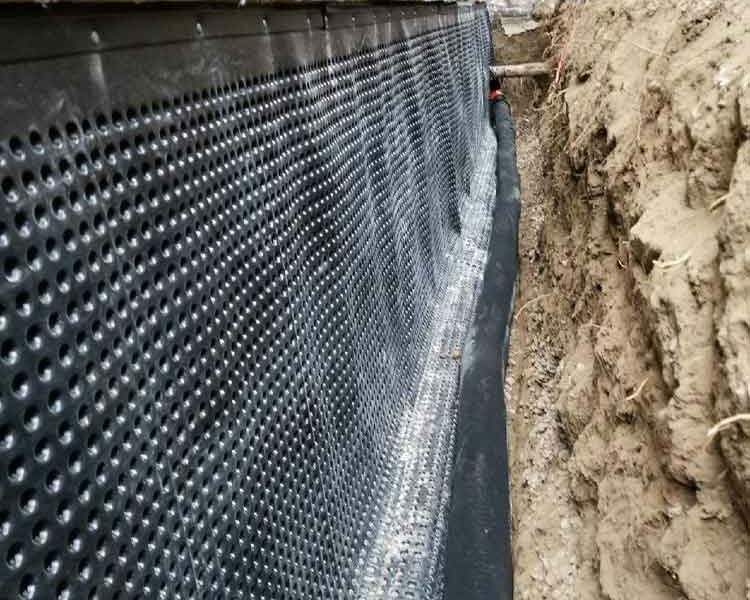 Basement waterproofing can protect and reinforce the integrity of your foundation but also, if a crack occurs, the waterproofing membranes will still keep water from seeping through. But how do foundation cracks form and what causes them? Water is the biggest risk to your foundation and in Toronto and the GTA we experience a lot of rain and snow, weather wise. Also, a lot of areas in the GTA are low laying areas, below the water table, which makes them prone to flooding. In either case there two main water pressures to your foundation. Hydrostatic pressure, coming upwards and lateral pressure which puts pressure and your foundation walls. When the soil gets saturated with water it expands and in turn the pressure against your structure increases. This soil pressure is what can cause cracks to your foundation. At the time of construction it is very important that the foundation concrete was laid professionally and reinforced properly and that the soil around it was compacted. In the case your foundation was not build properly then there is a risk of your structure settling or shifting and that puts pressure to your structure and leads to foundation cracks or even block separation. Expansive soils and clay soils tend to absorb water, and expand, but also shrink when dehydrated. These dramatic changes to the soil’s mass can cause your foundation to settle and in turn create cracks. Deep tree roots can be very invasive and put pressure on your foundation. If you have big trees in your property then know that roots can grow as far away as the height of the tree. If trees are too close to your structure then their roots can contribute to hairline cracks. This is usually overlooked as a cause to foundation problem, but after this very hot summer in Ontario, it is something to consider. You wouldn’t guess that lack of water and moisture in the soil can be a problem but when moisture dries the soil shrinks, leaving gaps between the soil and foundation. That can cause the foundation to move and eventually crack. Is your home or property prone to basement flooding? 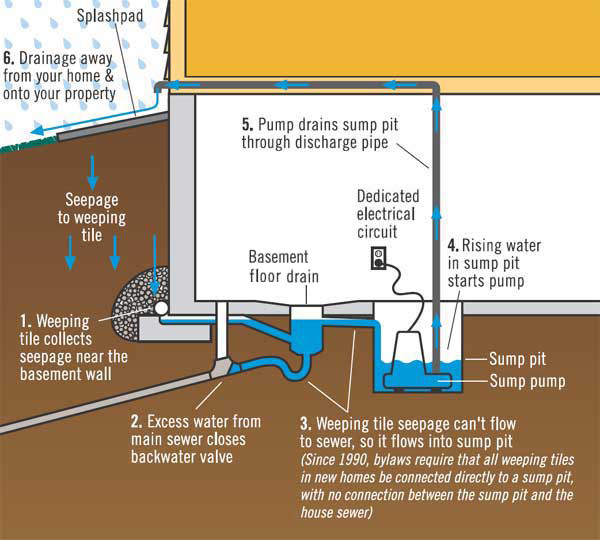 There are steps you can take to protect your property from flooding and installing a sump pump is one of them. A sump pump is, as the name indicates, a pump that is installed at the lowest grade of your basement floor. 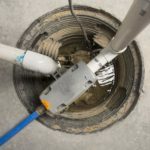 In the case of a flood water fills up the sump pit and triggers the operation of the sump pump which in turn removes water from your basement expelling it to the outside of your property. 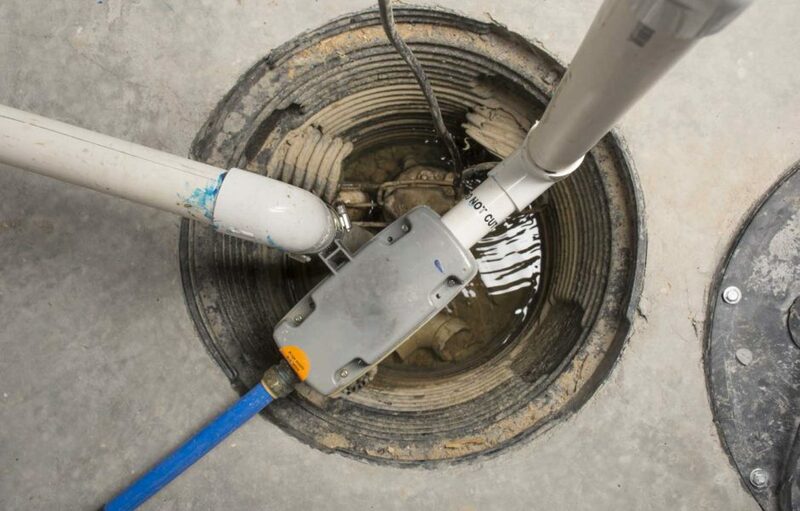 In this article we will focus on the sump pump installation subsidy. The available subsidy is 80% up to a maximum of $1,750. That is regardless of the number of devices installed, including labour, materials, permit cost and taxes. The subsidy is offered to registered owners of single-family, duplex and triplex residential homes in the city of Toronto. The subsidy is only available to existing homes and not to homes under construction or planning. Your downspouts must be disconnected from the city’s sewer system. After you complete the installation you have to submit your application within a year to be eligible. All contractors and subcontractors that performed the job must carry proper and valid license from the City of Toronto, for the installation work and at the time of the installation. The original invoices must be provided along with your application. You must not have outstanding tax or debt owed to the City of Toronto at the time of your application. Finally submitting an application does not guarantee receiving a subsidy, subsidies are issued on a first-come first-served basis. To apply Download the Basement Flooding Protection Subsidy Program application form. 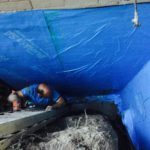 When it comes to waterproofing your basement there are instances that there isn’t available access to the perimeter of your exterior foundation walls. 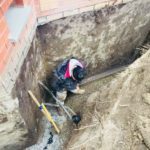 For exterior basement waterproofing there needs to be a minimum of 2.5 feet distance away from your foundation walls for the excavation to be feasible. 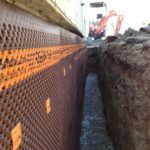 This space allows workers to create a ditch and enough space to perform the installation of the waterproofing and weeping tile system. Another instance is that the hydrostatic pressure is why water enters the interior of the basement under the footing, sometimes seeping in from the floor area. 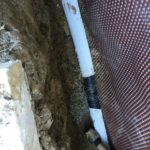 In the cases above your option is an interior waterproofing system, which includes the application of a waterproofing barriers on your interior walls, digging out and installing an interior weeping tile system in the perimeter of the basement and adding a sump pump that discards water away from your property. When it comes to finished basements the lower part of stud walls must be removed to expose the bare basement walls. When the foundation walls are exposed then repairs are done to any cracks or fissures that have formed. Digging out and exposing the foundation footings which includes jackhammering the basement floor slab next to the foundation walls. Weeping holes are drilled into the bottom course of the concrete block for water to drain. 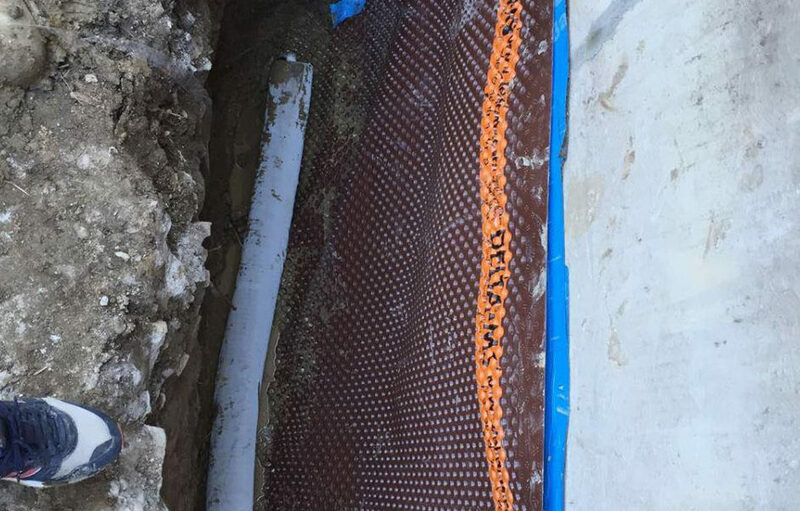 As part of the weeping tile system, a perforated drain pipe is laid next to the footings. 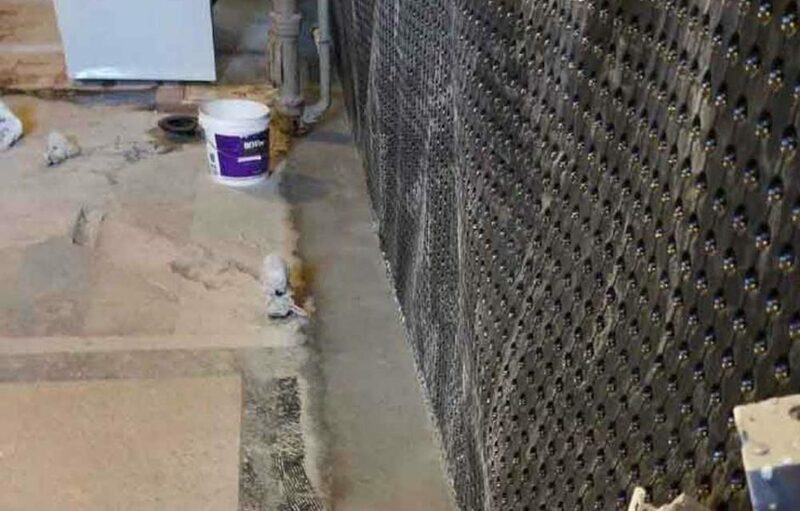 The waterproofing membrane and barriers are then installed on the foundation walls. A sump liner and submersible sump pump are then installed beneath the basement floor. The draining pipe of the weeping tile is routed to the sump pump. 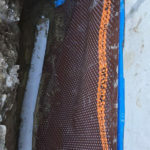 The lower portion of the drainage membrane and the drain pipe are then covered by new concrete to fill up the trench along the foundation walls and level the floor. 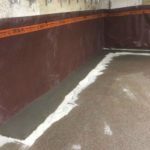 To determine if interior waterproofing is the right basement waterproofing solution for your home or building you can schedule a free on-site assessment by a basement waterproofing professional. Do you have a wet basement? Is water leaking from your concrete walls or pooling on your floor? Is moisture and a musty smell present? Having a leaky or wet basement can have risks on both your property and your health. If water and moisture is making it into your basement then that means that there is already some damage to your foundation. If water is finding its way in from cracks, fissures or even block separations then it is also contributing to further deterioration of your foundation walls and the consequences can be dire. Your home’s structural integrity depends on the strength of your foundation and footings. Deterioration of your foundation can lead to severe wall cracks and even to a settling or sinking foundation. If you have a finished basement then water coming in will sip into drywall, moldings, flooring and other building materials. Where water and moisture is present the growth of mold is a serious risk. Growing mold feeds on building materials like wood, drywall and insulation, this means that there is a breakdown of these materials. The longer mold is left untreated the damage will progress to the point of removing entire walls of drywall to treat the problem. Also mold is accompanied by a strong musky odor and it can affect your indoor air quality. The growth of mold in your home can affect yours and your family’s health. Exposure to mold or even mold spores in the air can have a variety of health effects, especially to infants, children, seniors, people with asthma and people with compromised immune systems. 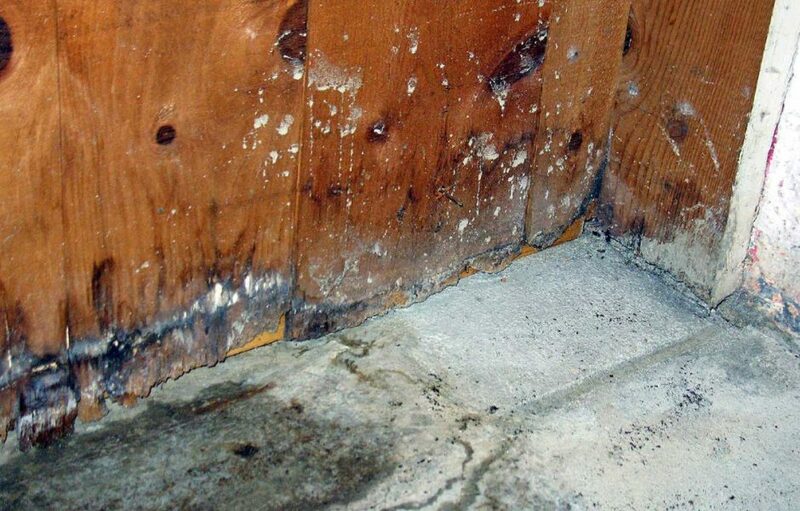 Health Canada considers indoor mould growth to be a significant health hazard. Exposure to mold has been linked to the onset of asthma or other lung infections and inflammatory responses. 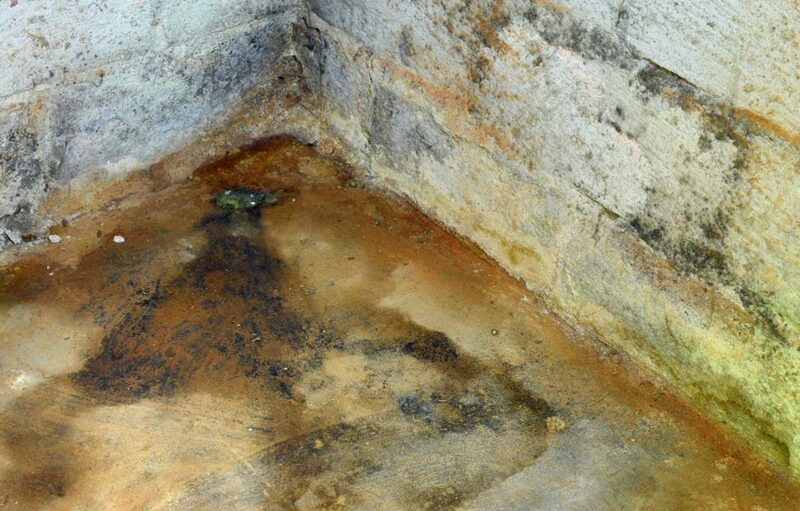 A wet basement is a sign of a non-existent or poor basement waterproofing system. 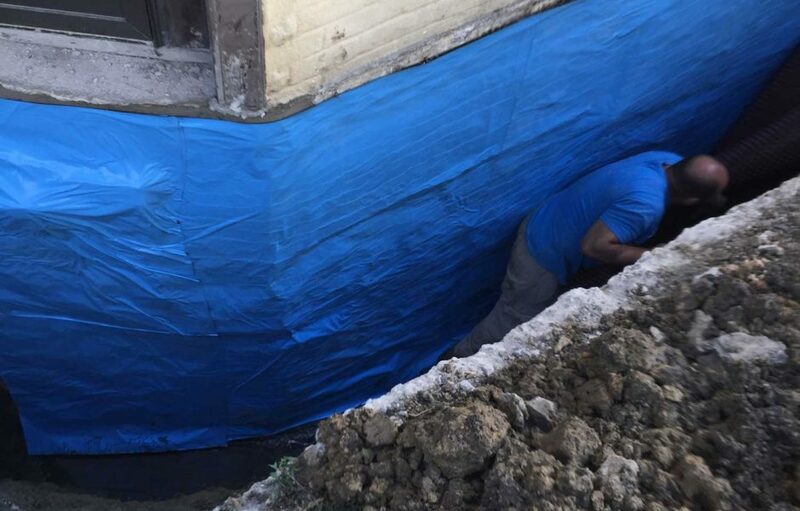 A basement waterproofing usually consists of an application of several waterproofing and water-resistant layers on the exterior of your foundation, an exterior weeping tile system at the bottom of the foundation/footings and/or an interior weeping tile system and sump pump. 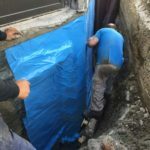 If you do not have exterior basement waterproofing then water from the outside, from heavy rainfalls or snowmelts, penetrates your foundation walls and leaks into your basement. Also, if you are in a low laying geographic area, water can come up from the ground and sip into your basement. An exterior waterproofing application and weeping tile protects your home from external water seepage. An interior weeping tile and sump pump gather and expel water away from your property before it gets a chance to flood or cause damage. Do you have a wet basement?